Here’s the rub about Julius Malema: he is a troll that feeds off attention. But we can’t stop reporting on him because he is a very dangerous troll who needs to be tracked at all times. And that’s why I’m breaking my self-imposed vow to stop writing about Malema, lest I make him stronger. Recent events have forced a re-think in the way we handle this little sociopath. He can’t simply be ignored anymore. He needs to be stopped. 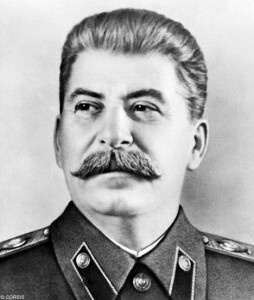 I was chatting the other day with someone who said that if Malema ever came into power he would be worse than Stalin. At first, I thought it was an obvious exaggeration for comic effect. Now, I’m not so sure. 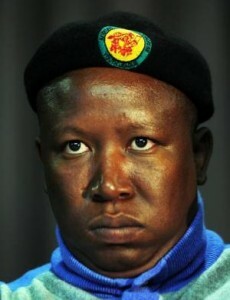 Malema, like Stalin, is a zealot and a revolutionary. They are also both dictators – leaders utterly convinced of their infallibility and utterly devoted to personal power; men who think that the rules don’t apply to them by virtue of their ‘noble’ goals. Both are capable of colossal self-delusion and hypocrisy. And both believe, like Napoleon the pig, that all animals are equal but some are more equal than others. Bearing this in mind, would a militarised Malema really order the murder of millions if they dared oppose him? Hard to say. Sociopath to psychopath is a leap. But it doesn’t jar with the overall pattern. Wait, hang on. I’m getting carried away. Let’s ease off the hysteria pedal for a moment. I certainly don’t think that Malema is going to come within a mile of executive power. Our democracy is too mature for that, and his behaviour is simply too reckless. But stranger things have happened – put an opportunistic man in the right place at an unfortunate time, and you get the Holocaust. Tenuous Nazi analogy aside, there’s another aspect to this Malema dilemma that’s even more worrying. Sometimes, Julius is correct. Let’s be clear: I deplore his hijacking of the Marikana tragedy for political gain. I condemn his general air of entitlement. I reject his call for blanket nationalisation, partly because government is notoriously unable to manage large corporations and partly because I am suspicious that Malema is just using it as a Mugabe-style excuse so that state assets will be easier to plunder ‘when he takes control’. But Juju does occasionally articulate some legitimate concerns. For example, mine workers should get a minimum wage of R12 000 per month. Why not? It’s a reasonable request. Speaking in the long term, if we don’t start paying people a living wage, how are we going to build a sizeable middle class? And without a sizeable middle class, how are we going to build a sustainable nation? If that means corporate profits take a temporary knock, so what? It’s a moral, social and political imperative to dramatically increase salaries for the rank and file. Our future depends on it. More to the point, Malema is only exploiting what is already there. He is not a cause. He is a symptom of some very deep seated problems in our country – a canary warning us that poisonous gas is about to overwhelm South Africa. In other words, we need to stop Malema by fixing the morass that spawned him. Maybe then his insatiable appetite for fame will guide him towards something more innocuous, like a TV game show. You can read Part Three here.